These are super cute and on sale at 50% off until tomorrow at 9 pm ET while supplies last! FLASH SALE!!!!! Act now– they’ll be gone in a flash! 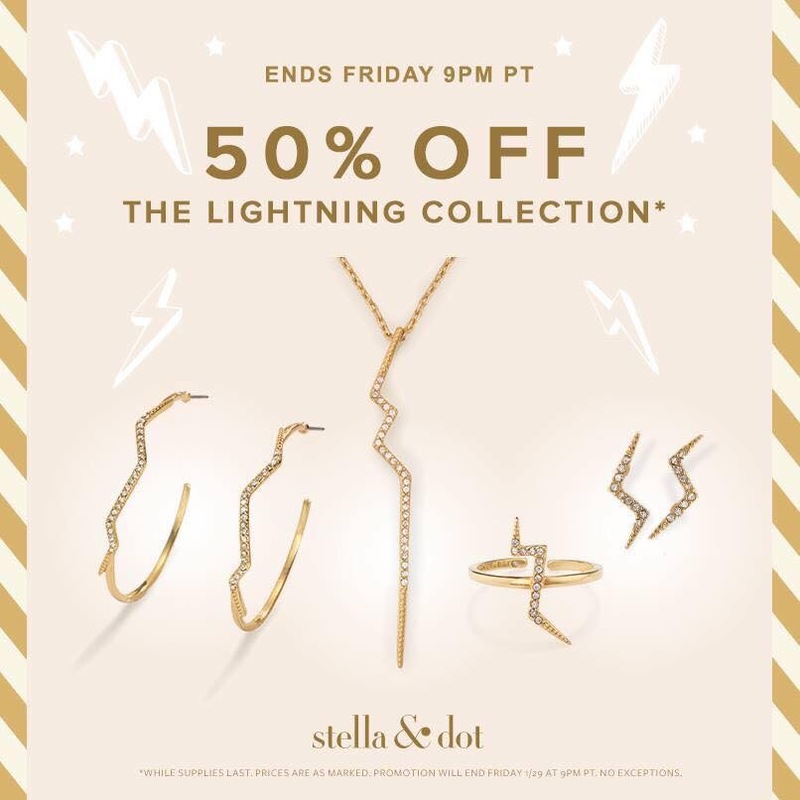 Stella & Dot’s Lightning Collection is 50% off today and tomorrow only! The whole set is $63!!! !